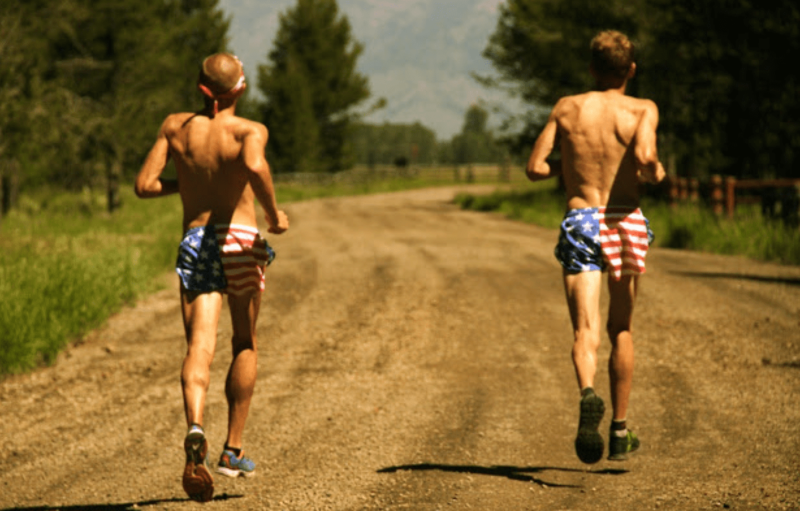 Don a little piece of America for your 4th of July fun run this year! From flag shorts and leggings to patriotic socks and headwear, running in stars and strips is a great way to express your American pride. 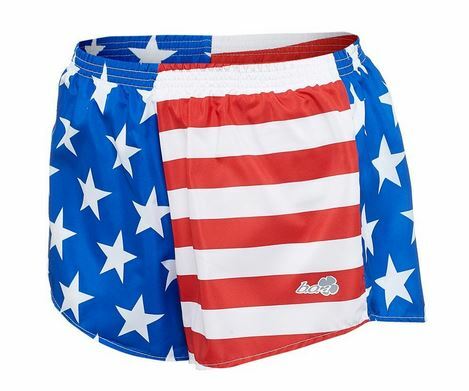 BOA makes the greatest flag shorts ever. The BOA Racing Flag Shorts are bright and cheery, lightweight with a side split, low-rise, and feature an internal brief. 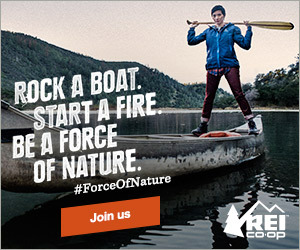 Also for men! 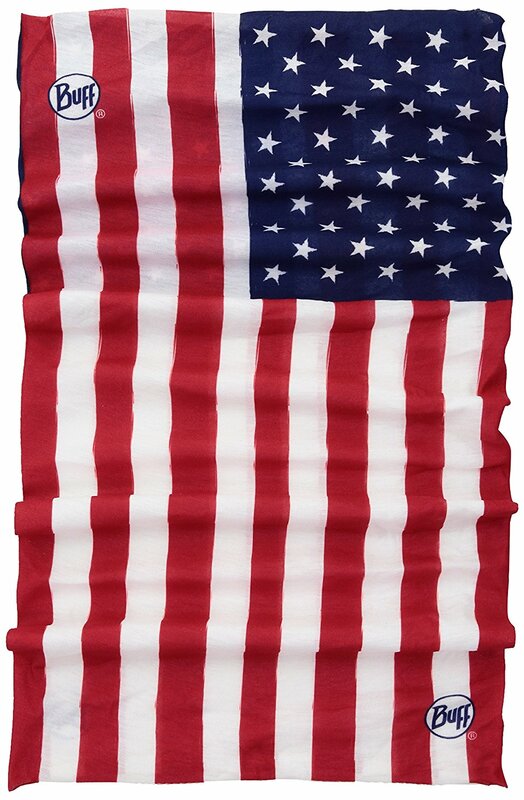 American Apparel has some great flag print leggings. Pants, tights – you decide! 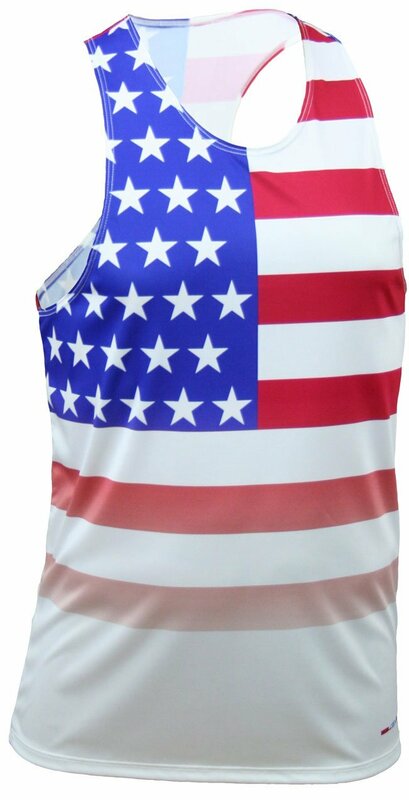 Sadly the BOA Patriotic Singlet is only available for men, but it would make a great gift for your patriotic partner. The classic style and lightweight design make it a great option for any race day. 4) What is more American than beer? I just picked up a pair of patriotic beer socks to complete my 4th of July race day outfit. 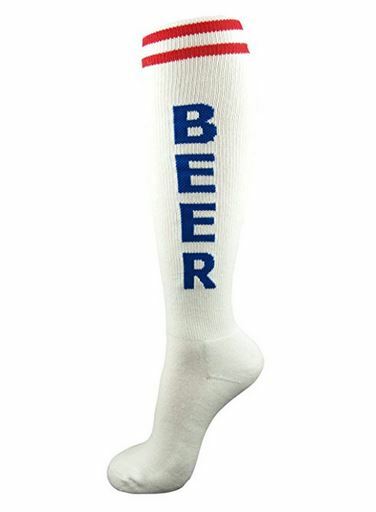 I will be heading to the All American Sawtelle Stampede in Island Park, Idaho for the second year in row and am hoping these socks will excuse my post-race beer. Buff Headwear makes a ton of different patriotic headwear accessories that can be worn as headbands, do-rags, caps, face masks, you name it! Pick on up of your favorite state or the Go America version. Sure to win any race day costume contest, the Women’s American Beauty Dress is a wrap-around flag – that’s it! Just wish I would have seen it sooner to order it in time for the 4th of July! See more Stars ‘N Strips specials at Backcountry.com.